Sometimes it is a struggle to find an event which is suitable for a new team or a group of people with different likes and dislikes. One common interest we can all share is the like or love for food. It is not a surprise that our food related team building and staff events are our most popular, requiring no skill. Each of our ultimate team building events for foodies are designed to nourish minds and hearts while providing a fun and interactive way to network with colleagues away from the office. Stash your weight loss plans for the meantime and let your eyes feast on these culinary marvels. Join us in London’s most celebrated food market and the definitive location in London foodies. Borough Market is a haven of exceptional British produce and we have created the perfect event for those who care about the quality of the food they eat. Great British Charcuterie combines cured meats, cheeses, wines and beers in an exclusive matching experience within London’s most vibrant food markets. Teams can soak up the enticing aromas and experience part of the British cured meats revolution in this 2 hour workshop. Perfect for those with a sweet tooth, this experience is ideal for those who wish to treat their taste-buds to a luxurious truffle making session. On the menu will be Belgian chocolate truffles complete with fillings such as vanilla, raspberry and praline ganache. 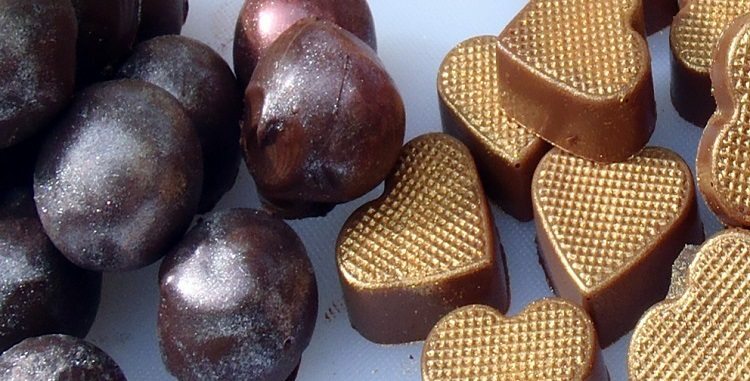 Our expert Chocolatier (perhaps the most sought after job) will guide you through everything there is to know in the world of truffle making including the mouth-watering chocolate recipes. Our mixologists will then be on hand to help you wash down your truffles with some equally as tantalising treats in the form of three cocktails. Teams also get a gift box to take away any excess chocolates and reduce the risk of a sugar over dose in this 3 hours workshop. Combining our popular ‘Bright Lights of London’ treasure hunt and a bespoke corporate breakfast cooking experience this is ideal for a reasonably active group who want to combine a delicious foodie experience with an outdoor activity. 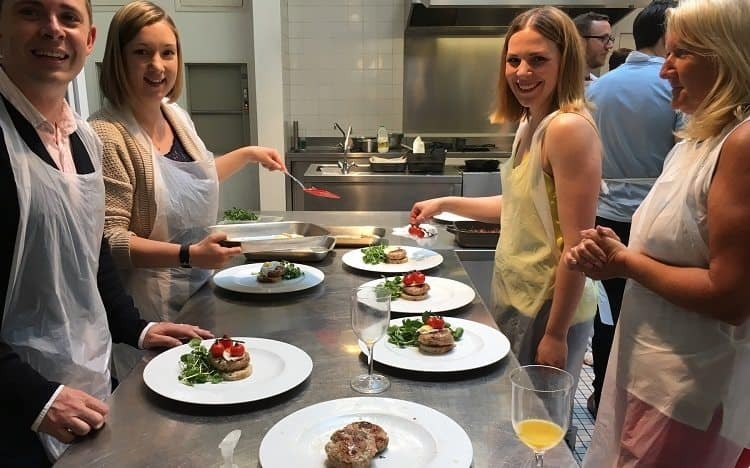 Cook, Eat & Run starts with a bang in our professional central London kitchens with a quick-fire cooking experience making luxurious breakfast items such as super food smoothies, sausage quail’s egg on sourdough toast with roast tomatoes and American pancakes. After surprising your colleagues with your culinary skills it is time to hit the streets of London exploring historical landmarks and learning interesting facts about the unique capital. Cook, Eat & Run is also available as a lunchtime session including a Prosecco reception and two courses along with other treats and both variations last approximately 4 hours. Inspired by the Great British Bake Off, this is a challenge for teams to create the delicious baking masterpieces including the famous showstopper and technical challenges. 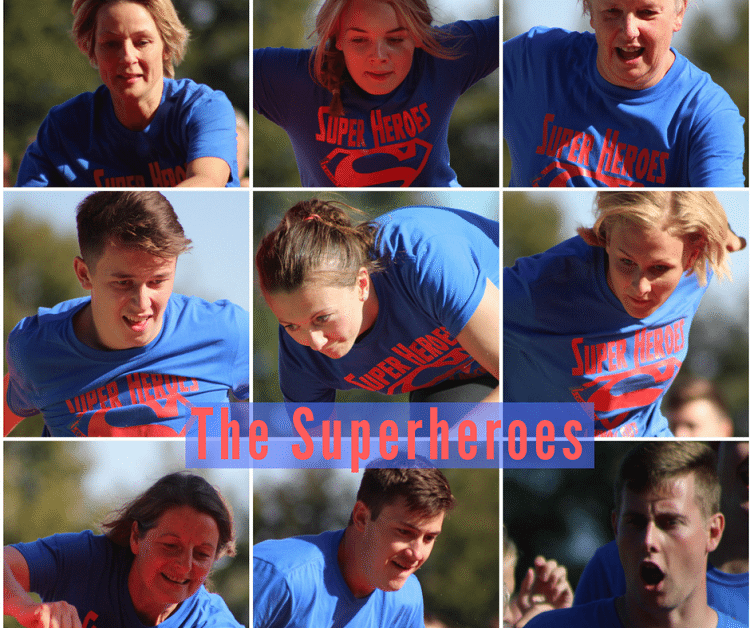 Teams will enjoy a competitive edge to the experience but also the same friendly atmosphere which is associated with the BBC series. Our professional chef will take you through the ropes of the art of baking including macaroons, chocolates, cupcakes and croque en bouche. The highlight of this experience is the satisfaction that you are helping a fantastic charity while learning the art of baking. Cakes and treats are delivered a charity of your choice to make their day brighter. Send your taste buds into overdrive in the ultimate corporate bake off lasting 2 hours. Contact us to learn more about our fantastic selection of Team Building Events in London.